Mill Creek Environmental (MCE) has completed a Phase I Environmental Site Assessment (ESA) of the property located south of Lexington, Kentucky. The Phase I ESA was performed in accordance with the American Society for Testing and Materials (ASTM) Standard Practice E1527-13. The subject property is a six (6) acre portion of a 14-acre parcel. The subject property occupies the eastern half of the parcel and is occupied by a local auto group. 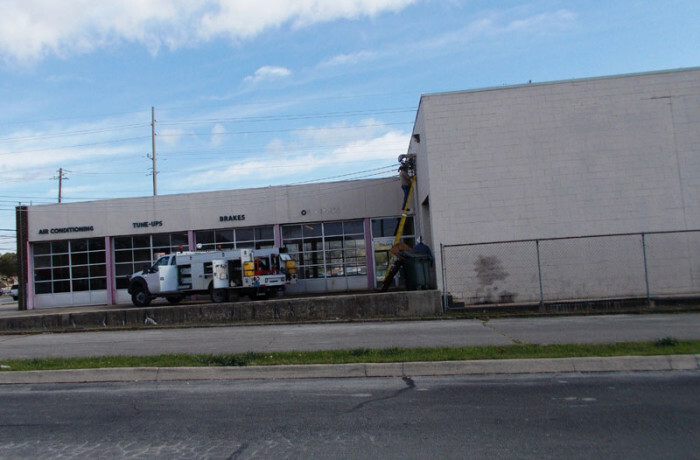 The property includes an automotive dealership, service garages, car wash, and a detailing facility. Surrounding land use is primarily residential and commercial. The subject property is served by municipal water, electric, sanitary sewer, and telecommunication utilities. • MCE’s site reconnaissance identified bulk storage of petroleum products and other automotive fluids at the subject property. However, because there was no evidence of a release to the environment and based on the good housekeeping practices observed, lack of surficial or structural staining in interior areas, and lack of surficial staining or stressed vegetation in exterior areas, the presence of these petroleum products does not constitute a REC. Based on all research, testing, interviewing and observations, this property is free of any REC (recognized environmental conditions) and requires no further action.